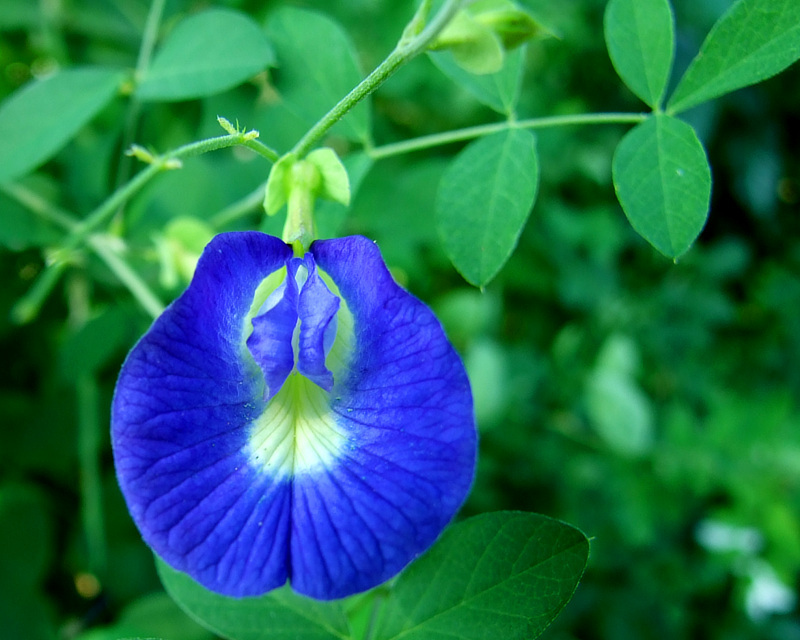 Common names: Butterfly Bean, Blue Pea Vine, Mussel-shell Climber. A wild plant in the Indo-Gangetic Plain. Often cultivated in gardens. Flowers are occasionally white. Roots and seeds are used in traditional medicine. Seeds are a strong purgative. Living in surrounding mountains, flowers and plants like this are not seen here, it has a cool look with freshness. You wrote a whole NOTE for this as this gives us a knowledge for such plants and I do appreciate your point of view. I prefer more aperture for getting uniform sharpness as here the corner of the patels are a bit OUT, TFS. No doubt about this pic. Geniales colores y buena nitidez. wow, that looks just great! very nice! A beautiful capture of this Aparajita flower. My wife's name is Aparajita. And I like this flower very much both in white and dark blue. Thanks a lot for sharing. What a beautiful picture of this beautiful flower! I like a lot the color and texture of the flower. Great sharpness and very good POV, DOF and composition. WOW, what a awesomw pic. Nice colors very good sharpness and lightning.